It’s a new era for Snoop Dogg’s beloved GGN news show, which originally launched on his YouTube channel, WestFestTV, and has been an important part of MERRY JANE’s YouTube network. MERRY JANE recently launched its content partnership with Apple Music, which will now exclusively air new MERRY JANE/Snoopadelic Films-produced GGNepisodes on a bi-weekly basis. Apple Music will also air a selection of archived episodes, such as Snoop’s classic interviews with Seth Rogen, Jamie Foxx, Ice Cube, Omarion, Rick Ross, DJ Khaled, and Khloe Kardashian. 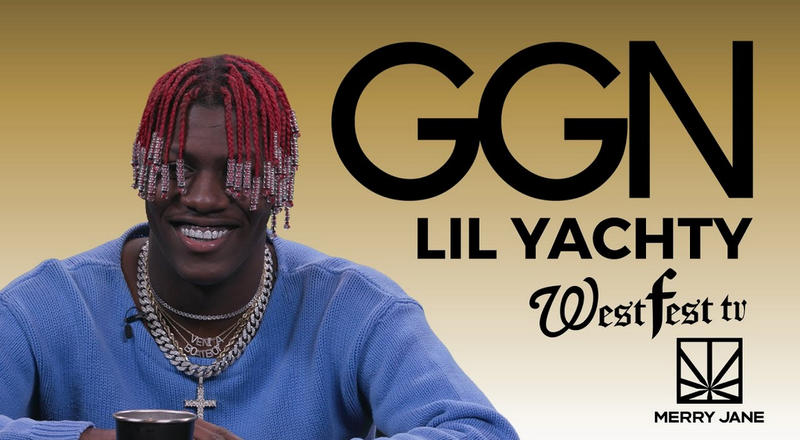 Rapper Lil Yachty stops by the GGN studio to catch up with the one and only Snoop Dogg. With a rookie already considered an all-star by some joining a hall-of-famer behind the desk, you’d better believe they had a lot to talk about.